This crimson red and white handcrafted cotton dot print boys necktie is perfect for Easter, spring, summer, weddings, and every other special occasion. The neck tie is fully lined, giving it good substance and sturdiness. Three sizes are available: infant (0-3 years), toddler (3-6 years), and child (6-12 years). Each tie is individually made and will vary slightly. For your convenience, the tie arrives pre-tied and ready to wear. The tie can be lengthened or shortened by loosening and adjusting the tie knot, ideal for growth spurts or passing down to a younger brother. The neckband is also adjustable. The infant tie has a velcro closure, allowing it to come undone easily if necessary. As always, adult supervision is required and Because I'm Me holds no liability. The neck strap measures approximately 11-12". 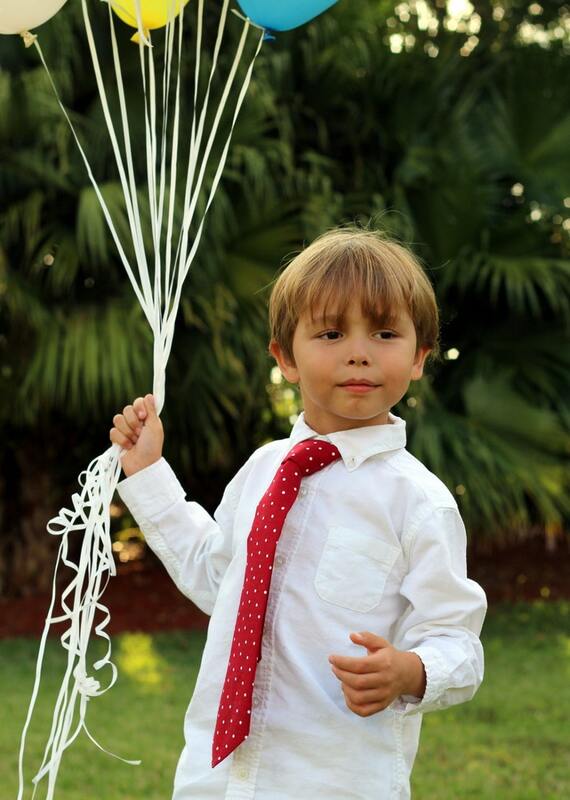 The toddler tie adjusts with a hook, loop, and slide closure system. The neck strap maximum opening is approximately 16". The child tie also adjusts with a hook, loop, and slide closure. The neck strap maximum opening is approximately 17".